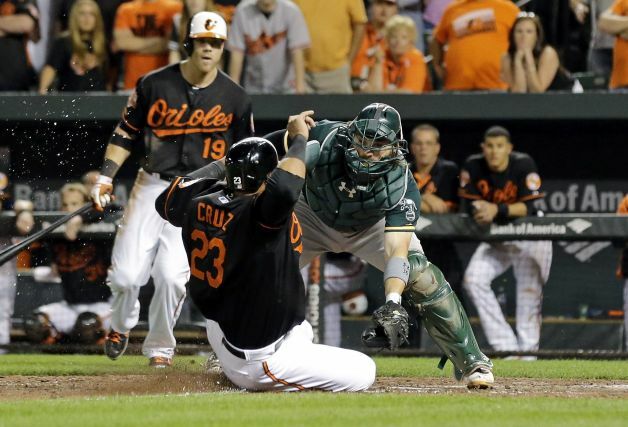 The 10th inning of the A’s and Orioles game last night was so surreal that we all need to savor it for a few moments. That and some unusual draft picks on today’s episode of The Sully Baseball Daily Podcast. Posted on June 7, 2014, in 'SullyMetrics', MLB Podcast Network and tagged 2014 Oakland Athletics, baltimore orioles, derek norris, draft, fernando abad, mariano rivera, Mariano Rivera Jr., nelson cruz, new york yankees, oakland atheltics, oakland athletics, Paul Francis Sullivan, Sully Baseball, Sully baseball daily podcast. Bookmark the permalink. Leave a comment.